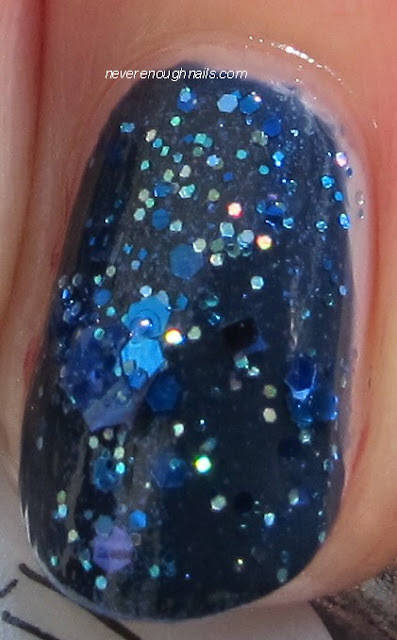 Never Enough Nails: Lynnderella Spam!! I have a ton of Lynnderellas I haven't posted, so I think I'm going to start posting a bunch at a time. 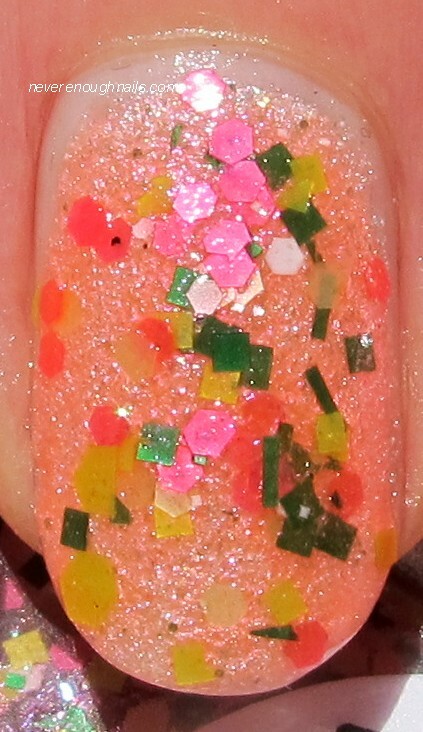 I usually post a Lynnderella after wearing it as a full mani for a couple of days, but that is not fast enough anymore! I'm getting the new collection shortly, so I'm trying to post some of the lovelies in my untrieds drawer. There will be mostly pictures, not too much chatter, in these posts. Just let me know in the comments if you have a question! All descriptions are from Lynnderella's blog. 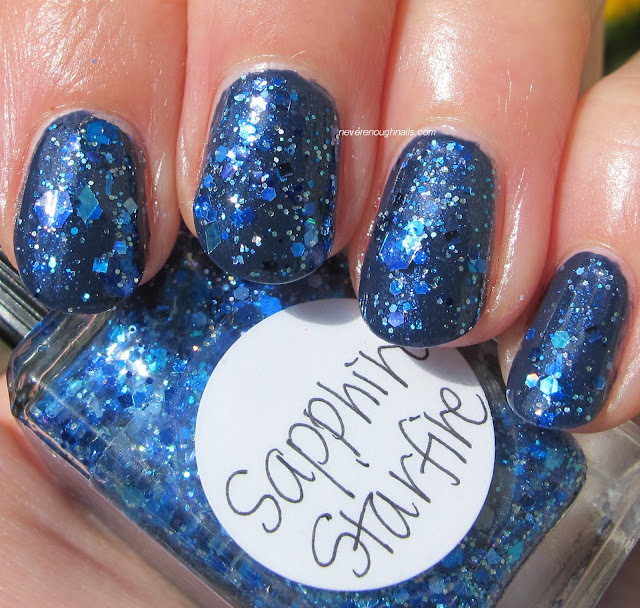 Zoya Pepper was sent for review. 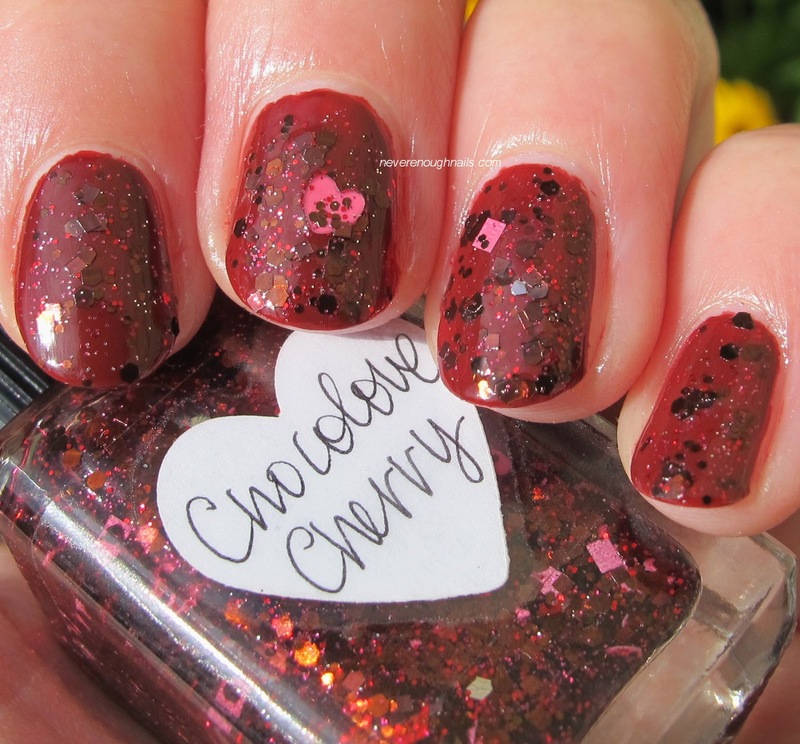 Lynnderella Chocolove Cherry was purchased by me. All opinions are my own honest thoughts. 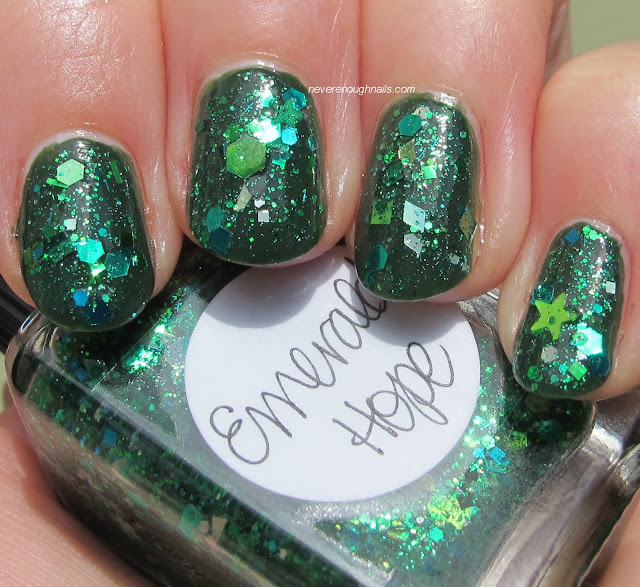 From the Groundhog Day collection, January 2013. 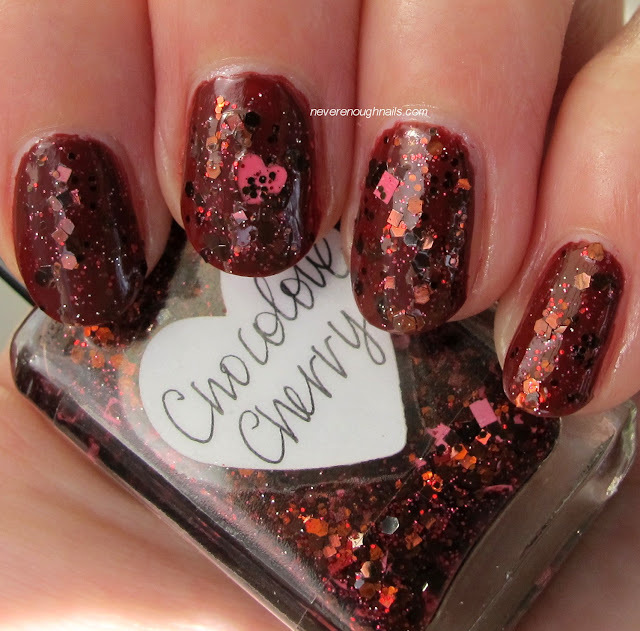 "Chocolove Cherry contains brown, red and opaque bubblegum pink glitter (stars, hearts, squares) in a clear base. 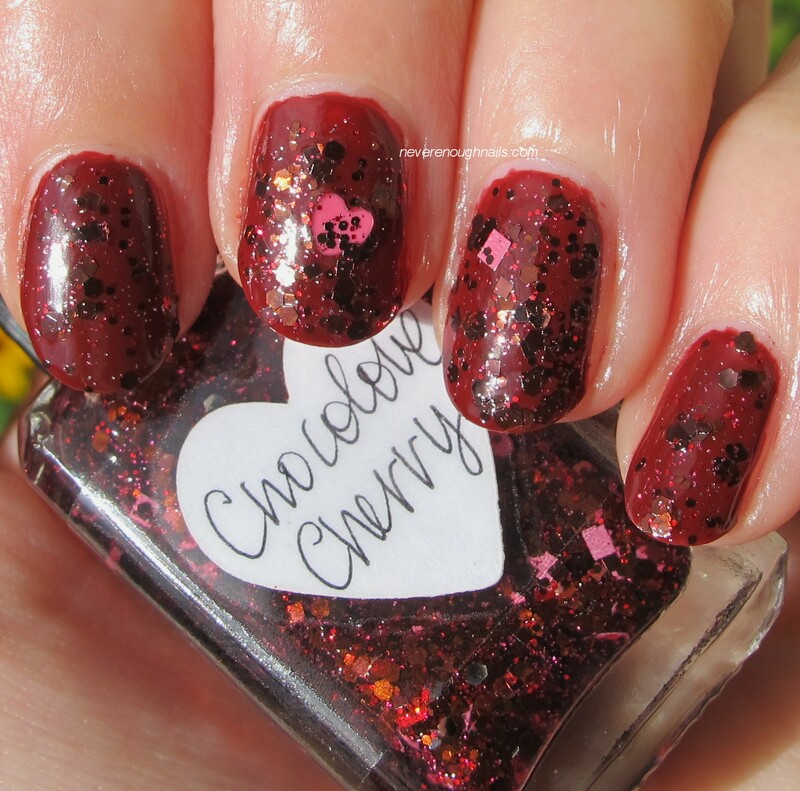 Originally conceived as chocolate cherries, but by a happy accident, colour combination may sometimes resemble Bing cherries, too." 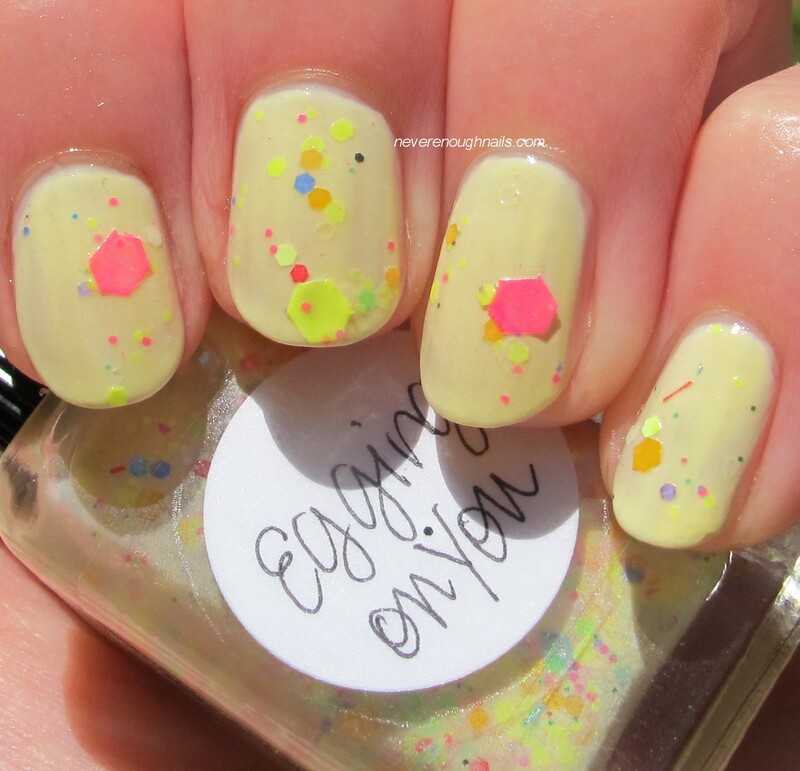 Illamasqua Load and Lynnderella Egging On You were purchased by me. All opinions are my own honest thoughts. 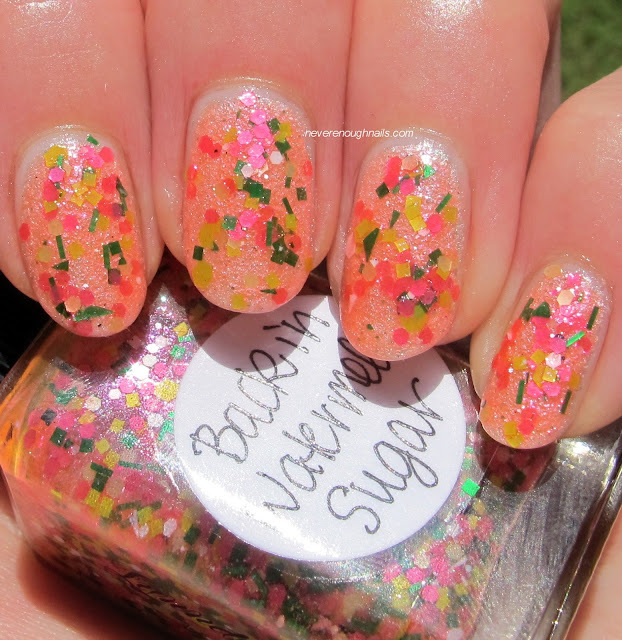 Limited Edition polish, spring 2013. Zoya Hunter was sent for review. Lynnderella Emerald Hope was purchased by me. All opinions are my own honest thoughts. From the Talismans and Birthstones collection, June 2013. 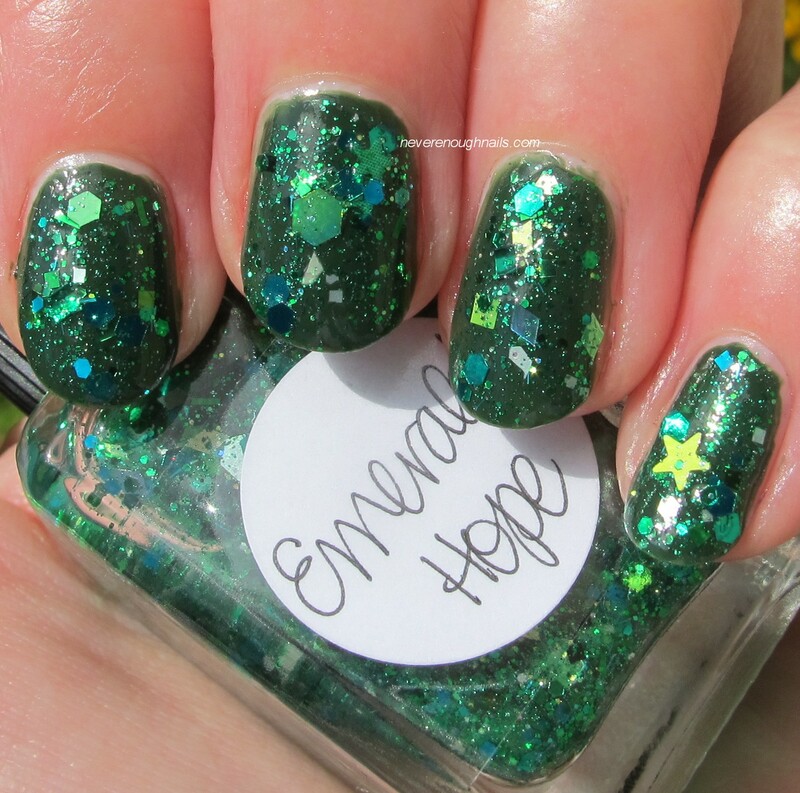 "Emerald Hope (May) is a green multiglitter in a clear base. Very complex." Zoya Sailor was sent for review. 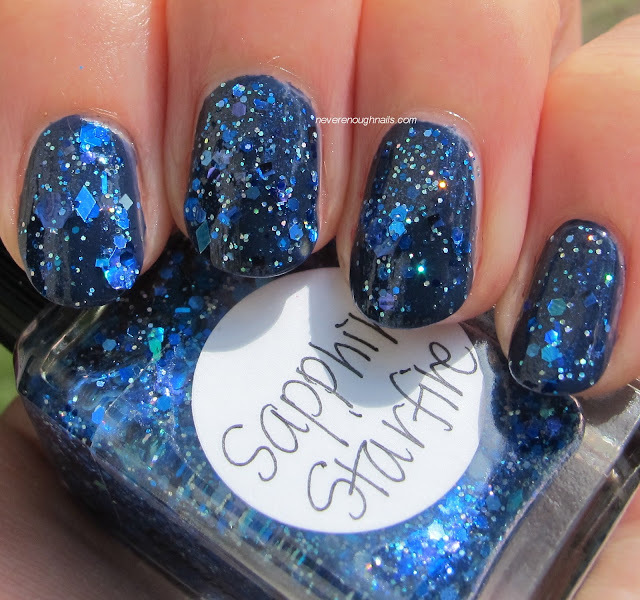 Lynnderella Sapphire Starfire was purchased by me. All opinions are my own honest thoughts. Also from Talismans and Birthstones. 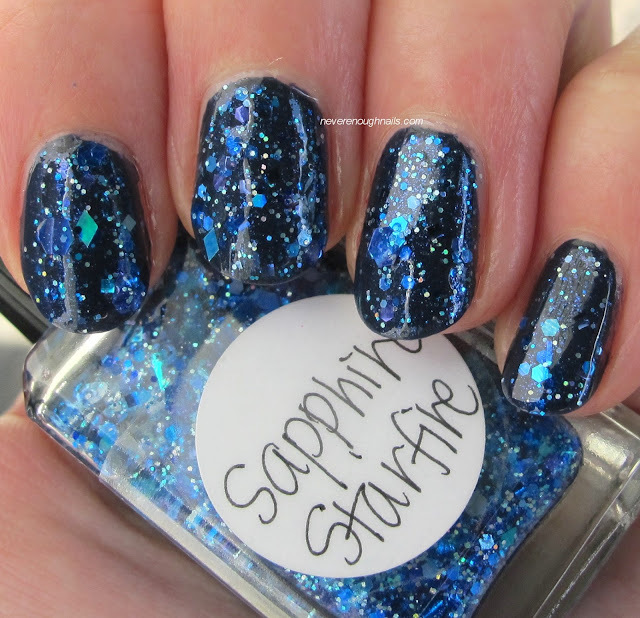 "Sapphire Starfire (September) is a dense blue multiglitter in a strong blue-shimmered clear base." 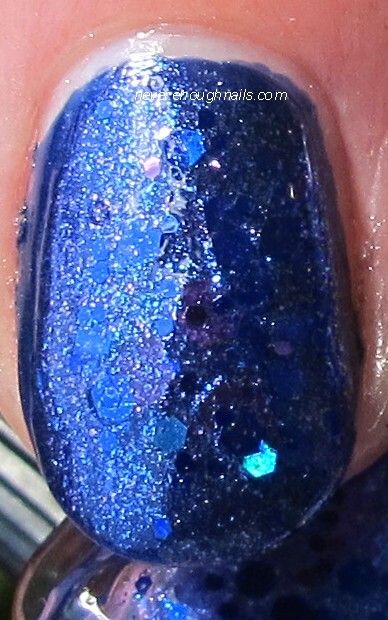 Zoya Neve was sent for review. Lynnderella Tanzanite Truth was purchased by me. All opinions are my own honest thoughts. Talismans and Birthstones. 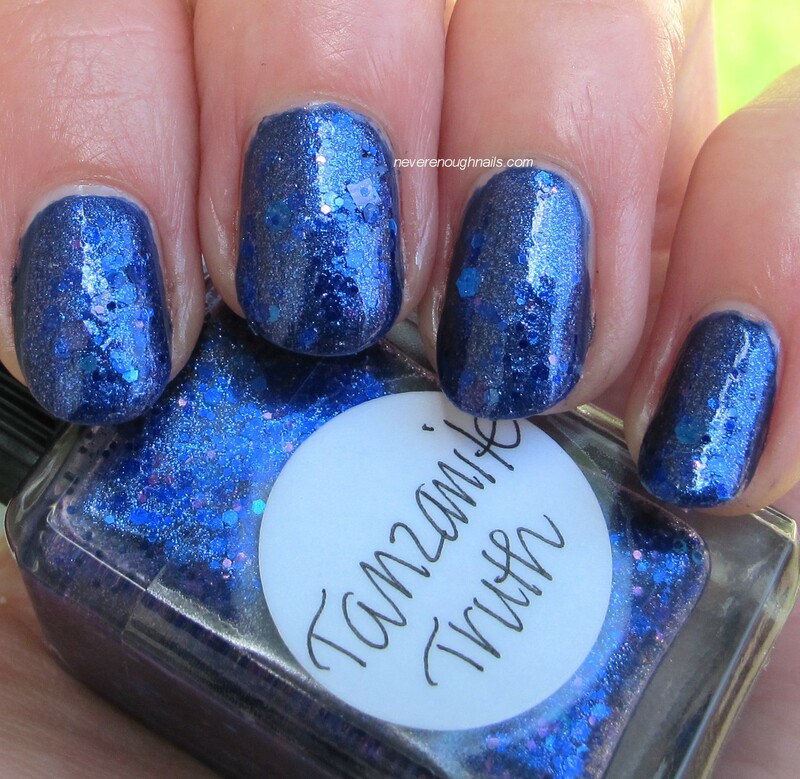 "Tanzanite Truth (December) has blue violet, purple and blue glitters in a multi-shimmered clear base." 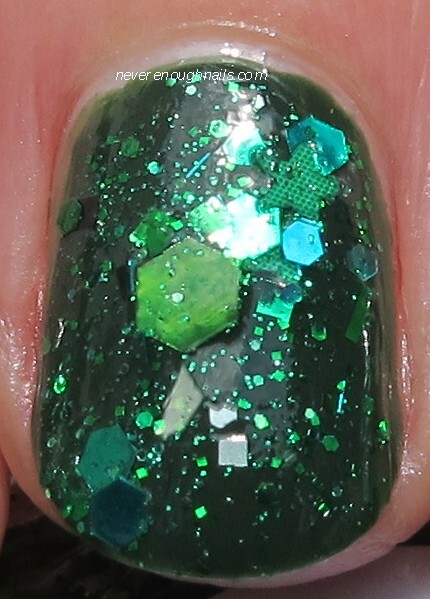 OPI Solitaire was sent for review. 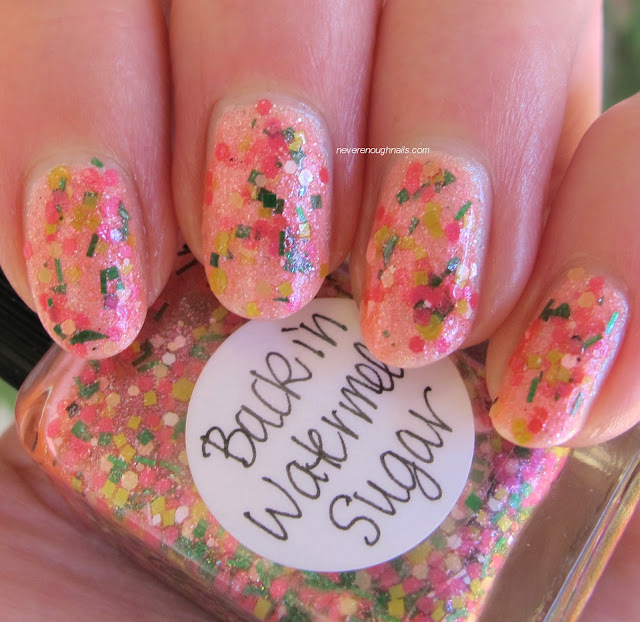 Lynnderella Back In Watermelon Sugar was purchased by me. All opinions are my own honest thoughts. 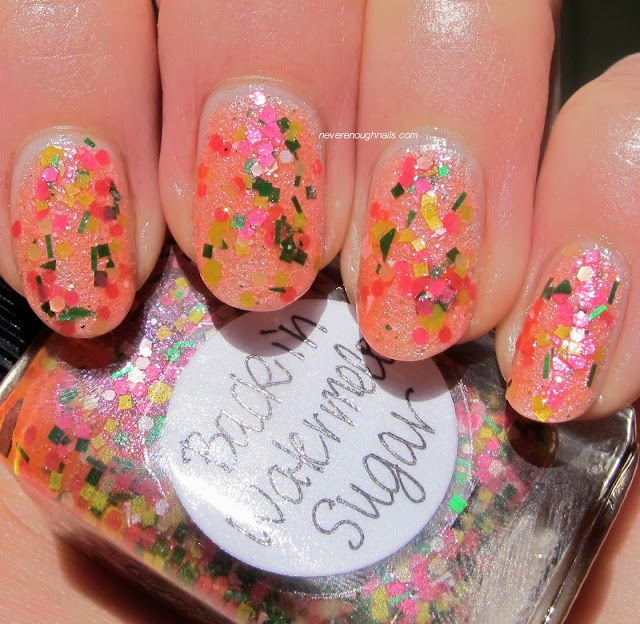 Limited Edition polish, summer 2013. Lynnderella polishes are available at lynnderella.com, Glitter Connect and Norway Nails.